If you or your kids have not yet been ghosted, I'm sorry to say it is likely to happen. Life is a series of relationships, some lasting forever and others ending, in partings both good and bad. Ghosting is one of the most cowardly and disgusting ways a person can end a relationship, and it is a growing problem in today's society. Ghosting is one of the more painful experiences a person can endure, whether in a dating relationship or a friendship. I think it can be even more painful when it happens to homeschoolers, because our social circles are often smaller and more closely intertwined. 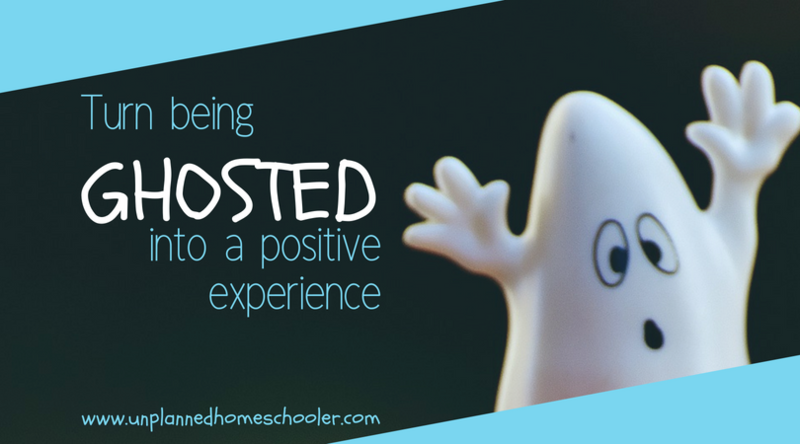 So if it happens to you or your child, how can you possibly turn being ghosted into a positive experience? As I am sure most of you already know, ghosting is the act of pretending someone you had a relationship with no longer exists. Texts and messages are left unanswered, calls are ignored, and the rudest of ghosters may even turn their back and pretend not to see their former companion when they run into each other in public. All of this happens with no explanation, too often leaving the ghosted party feeling confused, insecure and betrayed. It's okay. Those are pretty normal reactions to being ghosted. It's what you do after the shock wears off that determines whether the whole situation will turn out to be a positive experience for you. You can't prevent someone from ghosting you or your kids, but you can grow, you can become a stronger person and you can use what you learn to form better relationships with others in the future. 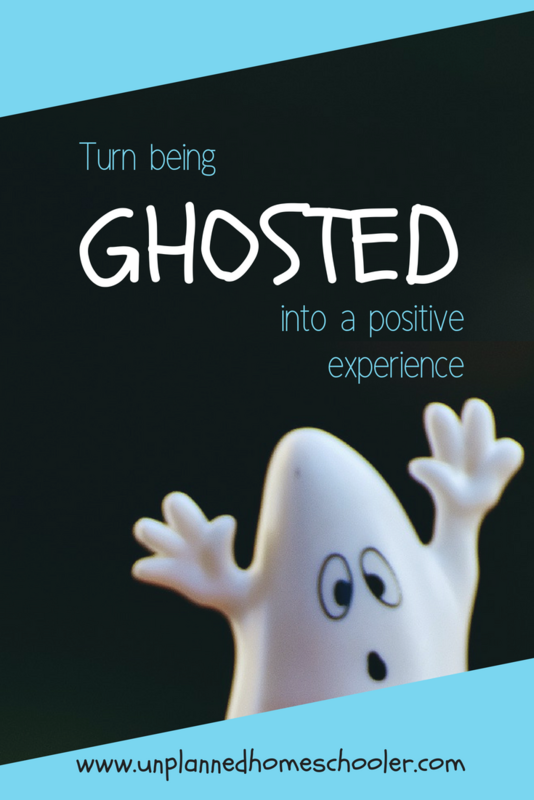 Here are some ways you can turn being ghosted into a positive experience after it is all said and done. I said before, ghosting someone is one of the most cowardly things a person can do, but knowing that may help you or your child to engage in empathy. After all, why would someone do something so cowardly? It's often out of fear. They are so insecure and afraid of conflict, they would rather pretend you do not exist than engage in a conversation or end things maturely. Perhaps they never had close and loving relationships, the kind that can survive healthy conflict, or felt accepted for who they are. Maybe they are so socially awkward they are scared to death to deal with the person being upset, or so full of guilt over things they've done wrong that it's easier to ignore the other person than face their own flaws. Looking at the other person's weaknesses and vulnerabilities may help you understand whether they lacked the courage to deal with conflict or end the relationship in an upright way, or if they were just a narcissist. Trying to understand and empathize with others is a good relational skill to practice, even if their behavior is unacceptable. We can't always control the things that happen to us, but we can control our own reactions. One reason being ghosted is so frustrating is the lack of control you may feel. But even though the other person may seem like they are in control, by single-handedly maneuvering the end of the relationship, you still get to choose how you will react, and how you will move forward. Being able to accept unpleasant circumstances with grace and fortitude is a skill that is often learned in adversity. Take this situation, and practice letting go, not only of the other person, but of the anger, the hurt and the distrust that they might otherwise plant in you. Accept that it is over, and spend time giving thanks that you are free from any further deceit. Take advantage of the this time to evaluate yourself. A few visits with a professional therapist may help you to take an honest look at yourself, your needs, and the role you play in your relationships. Do you have a tendency to overlook red flags in relationships? Do you repeat destructive patterns with friends and loved ones that go back all the way to your childhood? The things you learn during a period of careful introspection may help improve both your current and future relationships. Being ghosted gives you the perfect opportunity to assess your own needs as you prepare to move forward. What do you want from a new friend or a romance? Most people expect calls and messages to be reciprocated, for instance, and want the other person to show interest in them, to be supportive when things are going badly, and to spend time with them regularly. If these things weren't happening, there was probably a breakdown in the balance of your relationship that was going on for a while. Maybe you allowed your own needs to be pushed aside, or perhaps you were guilty of focusing too much on your needs while neglecting the other person. An honest assessment of what you need in a relationship, and what you are willing to give, can help you set healthy boundaries as you move on. Ghosting really can have a devastating affect on a person, leaving them in a state of grief much like any other sudden loss, but with the added pain of self-doubt and insecurity. If you or your child are ghosted, your faith may be a source of comfort. An often quoted scripture in the Christian faith is, "As for you, you meant evil against me, but God meant it for good..." Genesis 50:20. It is in a chapter about Joseph, who you might say was ghosted in the worst way by his own brothers. But he was wise, believing that what they intended for evil was used for good in the hands of God. No matter what your faith, isn't it wonderful to think that the hurt someone intended for you can be turned around and worked for good? I refuse to let the pain of being ghosted by a friend I cared about deeply to taint the amazing possibilities that lie in my future. I have forgiven them for behaving in a way I do not find acceptable, but cannot control, and I have taken the pain and used it to grow, to improve my other relationships, and to prepare myself for what comes next, and I think that's a pretty good way to turn being ghosted into a positive experience! 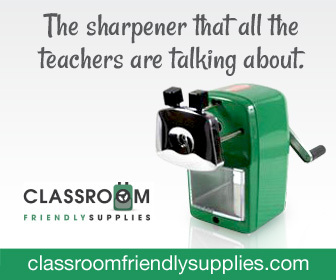 Free stationery for Minecraft fans! The Unplanner is available now! Spring 2019 | Free Your Mind! 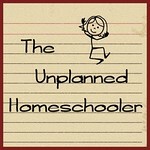 Copyright Tavia Fuller Armstrong for The Unplanned Homeschooler. Simple theme. Powered by Blogger.